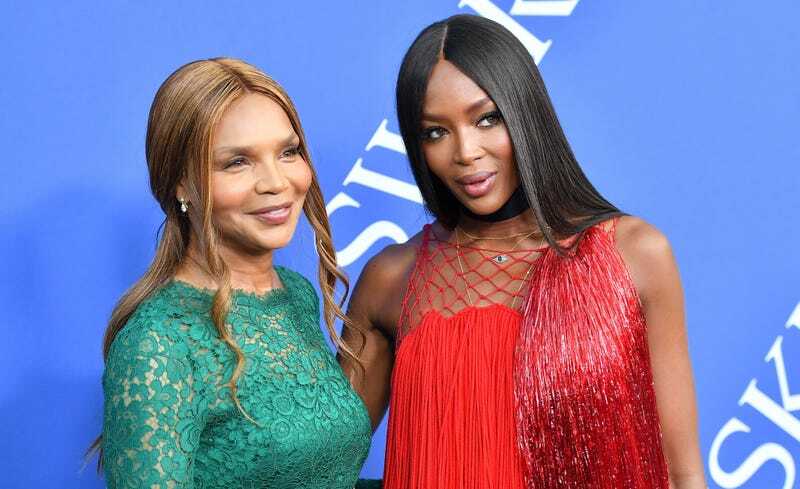 Naomi Campbell (R) and her mother Valerie Morris-Campbell arrive at the 2018 CFDA Fashion awards June 4, 2018 at The Brooklyn Museum in New York. If you’re anything like me, you were annoyed to hear the familiar strains of Christmas carols as you did some light post-Halloween shopping on November 1. But if there’s one bit of holiday spirit we can get into, it’s an upcoming (and highly anticipated) campaign film from luxury label Burberry starring Naomi Campbell alongside actors Kirsten Scott Thomas and Matt Smith, M.I.A., director and photographer Juno Calypso and ... her mom? That’s right. Burberry’s ‘Close Your Eyes and Think of Christmas’ campaign includes none other than former dancer-turned model Valerie Morris-Campbell, the 67-year-old mother of 48-year-old Naomi, who happens to be possessed with the same glowing skin and incredible cheekbones (and likely, legs) as her still-supermodel daughter. What do you call the model mother of a supermodel? A super-supermodel? For the record, it’s not the first time the two have modeled together. As early as 1993, the two were spotted on the same catwalk, making modeling something of a family business. Italian fashion designer Gai Mattiolo is surrounded by British top model Naomi Campbell, right, and her mother Valerie, left, after the presentation of his 1996-1997 fall-winter ready-to-wear collection in Paris on March 14, 1996. At any rate, Burberry’s campaign film doesn’t drop until November 13, and we have no idea how much holiday-themed drama it will involve. But if we have one holiday wish, it’s to keep aging like these two.